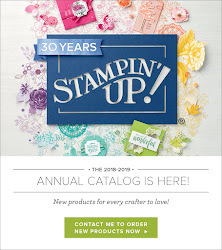 I wanted to share a few pictures from the Stampin' Palooza. It was a great success and everybody had a great time. 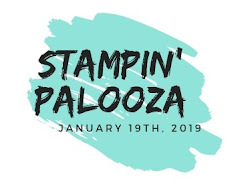 I will be posting all the projects from the Stampin' Palooza next week. Today I just wanted to share some of the photos of all the display. Way to go to my team the NW Crafty Stampers. Everyone did an awesome job. Jessica drew out this beautiful design on our new sign to welcome every one in! Look at my beautiful grandson in that photo!! These are just a few of the pictures that we took. I also wanted to share the Annual Catalog Supply List. 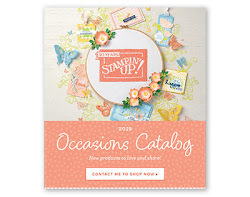 So after a lot of requests Stampin' Up has created the supply list for all the projects in the catalog. This question is asked over and over and sometimes it is hard to figure out how a project is exactly made. You can get the download here. I will be sharing all the projects we made next week, we are leaving on a long weekend for our annual Frther's Day camping trip.